Using our 3D comparison engine you can compare the best 3D printers, 3D scanners, filaments and more on the market. You can compare desktop 3D printers or professional 3D printers by checking out the comprehensive definition and technical specifications. Use the filters in the left column to select the parameters you are interested in, the manufacturer, or type of technology you are looking for. Why use the 3D comparison engine? Additive manufacturing technologies are still a big investment for many companies, so it is important to make sure you can compare multiple products before purchasing. With a 3D printer comparator you will be able to see the technical differences between each of the 3D printers on the market, as well as between different manufacturers. 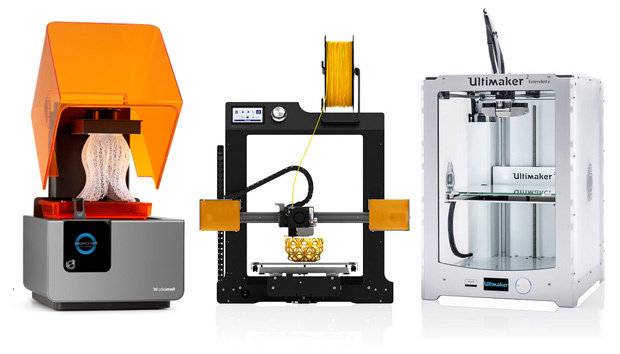 Here you will find well-known brands such as Ultimaker up to 3D Systems and their professional printing systems. And all the 3D technologies and machines used in different sectors. Remember that if in addition to the technologies and information we give you in our guides for additive manufacturing or 3D metal printing you still have any doubts about how to make the best purchase of a 3D printer, you can always contact us who will be happy to advise you on all issues related to 3D printing.